David Roebuck Allen (1848-1929) was a Drummer Boy in training at the end of the war. Two of his brothers, Mathew and William, went off to war and were never heard from again. Born in May of 1839 in Georgia, Richard Bentley enlisted with the 48th Alabama Infantry in Abernathy, Alabama on April 26 of 1862. He was wounded in the battles of Chickamauga, Cedar Run, Dandridge, Gettysburg, and Manassas Gap. Despite his many injuries, he was paroled at war's end. Richard Bentley died on January 24, 1912 and is buried in Lebanon Methodist Church Cemetery in Cleburne County, Alabama. Born on January 17, 1845 in Mantua, Alabama and died on November 9, 1911 in Coker, Alabama. Buried at the Liberty Presbyterian Church Cemetery in Coker, Alabama. Richard Coleman enlisted in the 24th Alabama Infantry Regiment's Company C on February 1st, 1862. On August 13, 1864, Pvt. Coleman was wounded and subsequently captured during the Battle of Atlanta. He was released from the POW camp of Point Lookout, Maryland on June 9, 1865. Born in 1833, died on July 29, 1885 and is buried in Etowah County, Alabama. In January of 1865, Pvt. 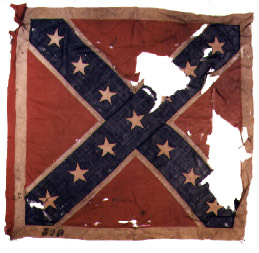 Fry of the 30th Alabama Infantry, Company D, was employed on extra duty in Demopolis, Alabama as a wheelwright. Alli Doris Graham was wounded at the battle of Shiloh. His comrades were bringing him home when he died at Booneville, Mississippi. Lt. Wm. H. Graham (1840-1862) of the Fulton Guards, 10th Mississippi Cavalry was killed at the Battle of Mumfordsville. 1880-04-07 - Died at 53. Buried in the Nazareth Primitive Baptist Church cemetery. Ancestor of Frank Delbridge, Jr.
Born on September 23, 1843 and died on July 18, 1920. John Polk Park is buried at Romulus Methodist Church in Romulus, Alabama. John Park was a Private of the 2nd Alabama Cavalry, Company D.
Gilbert Henry Williams (1835-1916), Co. I, 2nd Mississippi Cavalry. Unit was under Forrest at Franklin, Tuscaloosa in April 1865, Ebenezer Church, Selma and surrendered at Citronelle. Williams may have been an adjutant to Forrest. Courtesy of Historical Art Prints.